Two scratched records that I've managed to make sound almost passable with clean-up software, but there might be a glitch or two somewhere along the way. If these are great soundtracks, and looking at the composer and vintage you'd think they would be, then they picked the wrong tracks for the EPs. Both records are dull and unremarkable, sans the magic RD Burman is capable of. 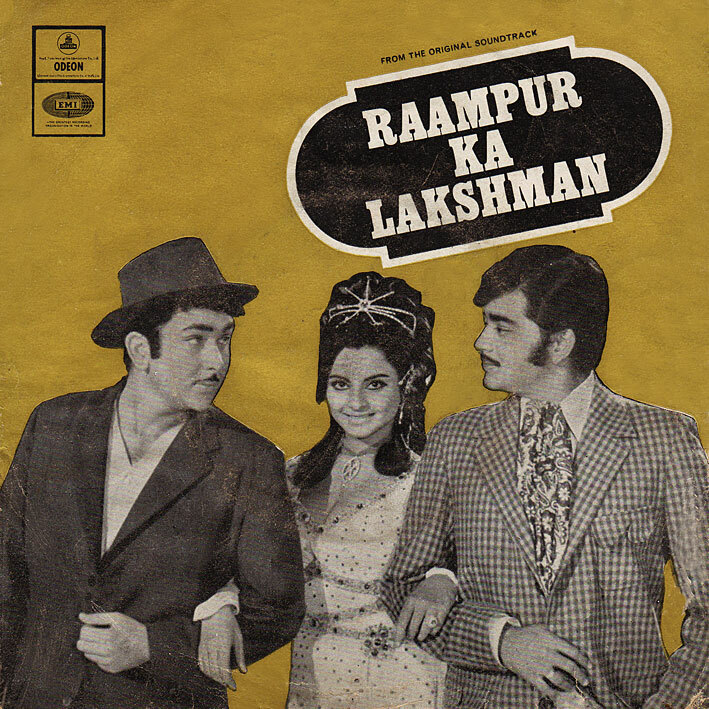 'Gham Hai Kisi Ke Pyar Men' is an OK track off 'Raampur Ka Lakshman' [review], pleasant and loungy if forgettable; 'Dil Machal Raha Hai' is the best thing 'Khalifa' has to offer, along with nice cover art. Thnks for all the great tunes! 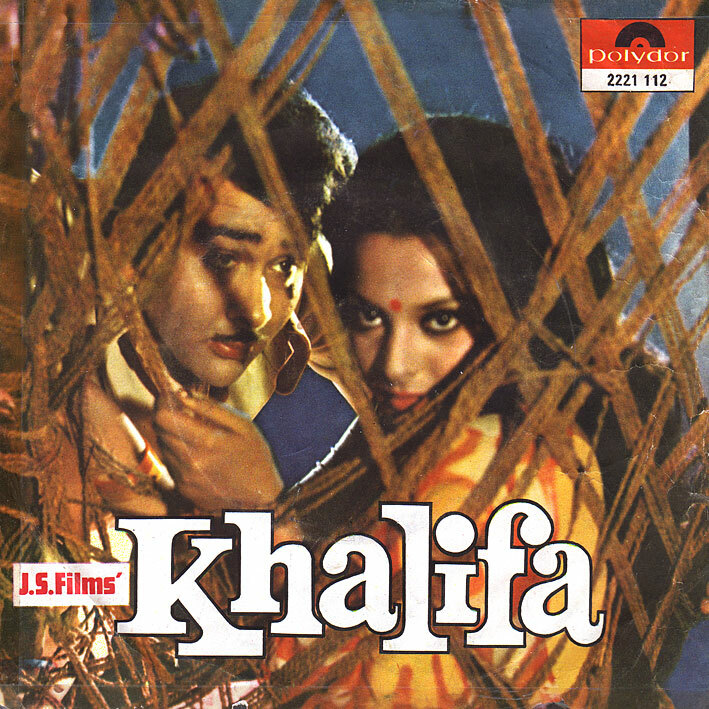 RKL has 2 other nos, a bhajan - Kaahe Apnon Ke and a nice peppy one by Kishore, Lata and Rafi - Pyar Ka Samay, whereas Khalifa has only one more by Kishore and Asha - Dekh Tujhko Dil Ne Kahaa, again nice. Thanks for sharing these EPs. Can I ask which software it is you use to clean up the audio files? It always sounds like it does a good job. @Stephen H: More often than not I use use Roxio's Spin Doctor (an old version). It's very basic and only has a minimum of variables, but I find it tends to do the trick. Thanks for sharing, the songs from both are very good. In fact 'Gham Hai Kisi Ke Pyar Men' is one of my favourite Kishore & Lata duets. Just as a fyi : both Badongo & zshare give nasty pop-up's. The one from Badongo was especially bad. Is there anyway to avoid this ? @Asli Jat: Sorry to hear that... what kind of 'nasty'? I'm sure firefox (or a mac)would sort it out, just for your info thats all ..
Hi PC, sorry for the delay in giving feedback. I didn't want to repeat the experience of going to Badongo, but what happened was a pop-up appears telling you your PC is infected unless you download (I think) some kind of obviously false anti-virus crap. I was using Firefox & couldn't close the pop-up. The only way was via the 'Task Manager' & closing my session. I then deleted those sites from the history & used 'Malwarebytes' Anti-Malware' to check. Luckily nothing was found. Anyway, I do appreciate all the trouble you go to to share these marvelous gems, just have to be careful I suppose. Only thing is, I don't understand the rationale behind infecting PCs via these file sharing sites. I'm probably just too naive. Infecting PCs, spreading viruses etc has it's own fucked-up rationale, nothing to do with civilised behaviour. Let me know of it persists or gets worse. Roxio's old Spin Doctor ROCKS :) I use it myself. Thanks again PC for all the goodness. You missed out on an awesome track from Khalifa. Its on the LP. Let me email it to you. 'Gham Hai Kisi Ke Pyaar Mein' is exactly how it is written on the record's cover and label.